The texture was retrieved from my previous photogrammetry model, while the 3D object was downloaded from Ad&D 4D‘ Sketchfab model. The combination of these two models was completed with MeshLab, using the very efficient “Point Based Gluing” alignment method. Finalization with realistic lightings performed in Sketchfab. 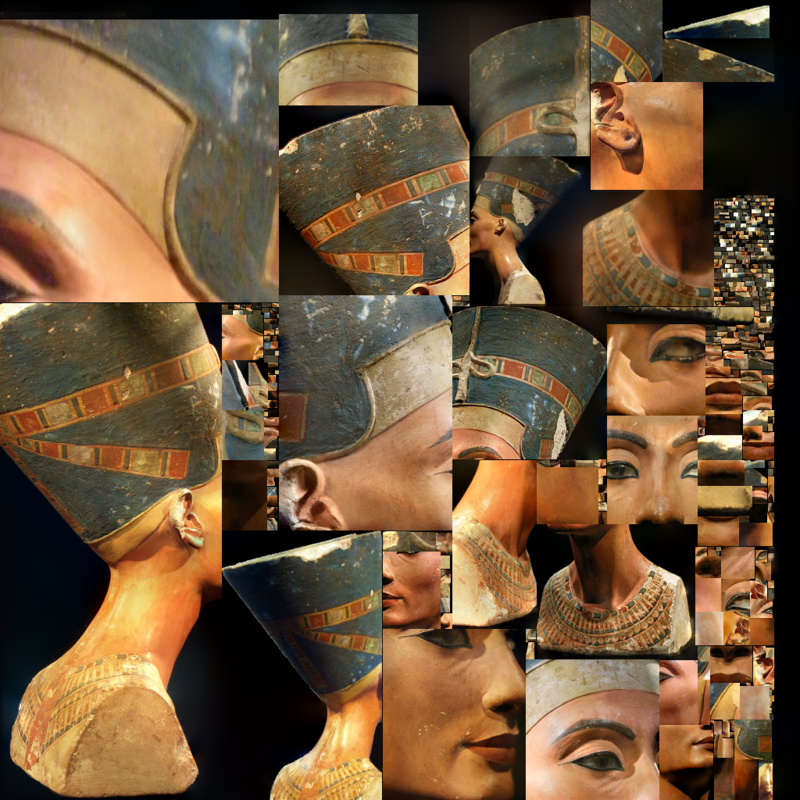 Click here to download the texture (PNG format, 1024 × 1024 pixels). 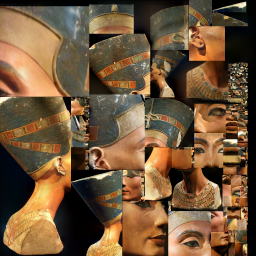 Check Nefertiti Hack to get the original .obj high resolution model (by Jan Nikolai Nelles & Nora Al-Badri).